Trump’s Latest Speech Was Slyly Ingenious. Here’s Why. On Saturday, President Trump once again did what he does best: speaking directly to the American body politic uninterrupted and uncensored. Announcing days prior on Twitter that he will make a “major announcement” regarding the government shutdown and the border wall, it was expected that he would either (a). Declare a national emergency in order to appropriate immediate funding for the wall, or (b). Introduce a new deal — ostensibly a compromise — in order to get the Democrats talking. The latter was chosen. Like his usual spiel regarding immigration and his dearly sought out border wall, his soliloquy was initially filled with damning, eye-opening facts of illegal immigration — most of which he spoke of during his Oval Office address. While serving as an impactful foundation for his proposal, I largely do not see the point of him mentioning them anymore; people who are against the wall will be against the wall, regardless of the continuous regurgitation of Republican talking points. He then transitioned to the piece de resistance of his speech: the deal. Details of the soon-to-be-mentioned compromise were already promulgating prior to his speech, coming from mainstream media networks who received the “inside scoop”. To sum up, Trump is willing to extend the DACA (Deferred Action for Child Arrivals) recipients’ period of deferred action from two years to three years and extend legal protections for nearly 300,000 immigrants under the TPS (Temporary Protected Status) program. In return, he’s requesting the standard $5.7 billion for the border wall — now called a “steel barrier system” — and nearly $3 billion for various other infrastructure and protectoral programs, including funding for drug detection technologies, medical support, border security agents, and immigration judges. There’s a near certainty Trump and his counsel knew this deal would be dead on arrival. In January of 2018, Trump offered an even better deal for the Democrats: a path to citizenship for up to 1.8 million young illegal immigrants in exchange for a $25 billion “trust fund” for the wall. The Democrats, despite repeatedly saying how much they value illegal immigrants having a path to citizenship, rejected it almost instantly. The same reaction occurred here; even before Trump gave his speech, House Speaker Nancy Pelosi released her statement on Twitter, labeling his yet-to-be-announced compromise as a “non-starter.” Senate Minority Leader Chuck Schumer also chimed in, repeating the same connotations. This provides the ingeniousness of Trump’s speech and compromise. Assuredly, he knew this would fail; the Democrats could never submit to the evil trenches of Trumpism and allow the construction of his wall. Trump knows this. Thus, his speech provided him with several invaluable victories. Firstly, the Left cannot say Trump is unwilling to sit down at the negotiation table. He provided a compromise, live on television, that went against his basic presuppositions as president (he attempted to phase out DACA, after all). With the Democrats almost leaving the country during the government shutdown, Trump wins the symbolism and leadership game there. But secondly, and most significantly, Trump’s failed compromise paves the way for a declaration of a national emergency. Trump can justifiably cite his past attempts at reaching a deal with the Democrats, demonstrating he has exhausted all possible mediums of constructing a quasi-border wall and reopening the government thereafter. The public will see this, and having seen his past attempts of compromising, will somewhat understand. Whether or not it has legality or precedence is another story. So, what will happen from here? Trump and the Democrats will most likely engage in a few more disputations throughout the beginning of next week, but I could truly see Trump declaring a national emergency by the end of the week. If he doesn’t, he’ll really be putting himself at risk, drawing rabid criticisms from both the Left and the Right. And if Trump has learned one thing, it’s that when both sides hate you, that’s never a great thing. 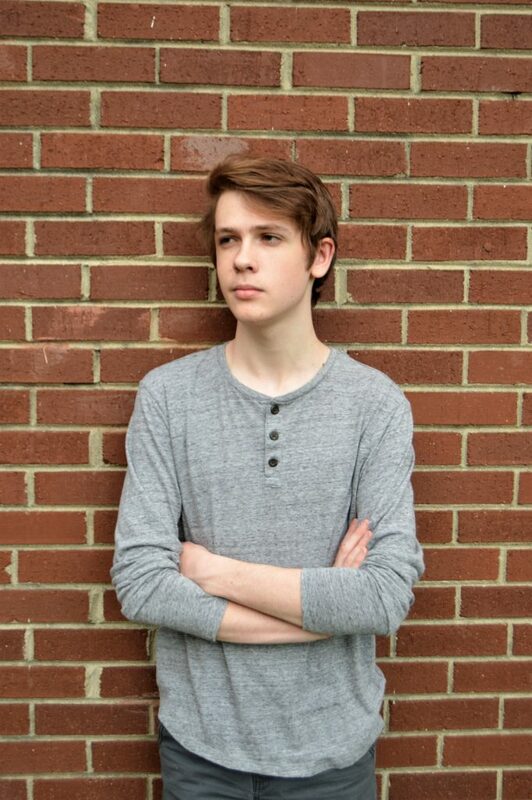 Daniel Schmidt is a fifteen-year-old political commentator from Nashville, Tennessee. In his freshman year of high school, he founded The Young Pundit, with the goal of establishing a hard-hitting, fact-based conservative commentary outlet.